Joseph A. Panepinto, Sr. is the President and CEO of Panepinto Properties, which he founded in 1977. He is a real estate developer and attorney, and his major focus throughout his career has been the renaissance of his hometown—Jersey City, NJ. Indeed, Panepinto Properties is the cornerstone of Jersey City’s real estate scene, and has ties to almost every major project in the city since its inception in the late ‘70s. After graduating from law school in 1970, I was interested in local politics and was drawn to a group of young professionals looking to change the political structure of our city. When our candidate for mayor, Dr. Paul Jordon, was elected, I was offered a position as attorney for the Jersey City Planning Board. There, I was a part of the principal team drafting plans for the future redevelopment of the Jersey City waterfront. During this formative time, I was fortunate to be an integral part of the team that laid out and envisioned new possibilities for the future of Jersey City. 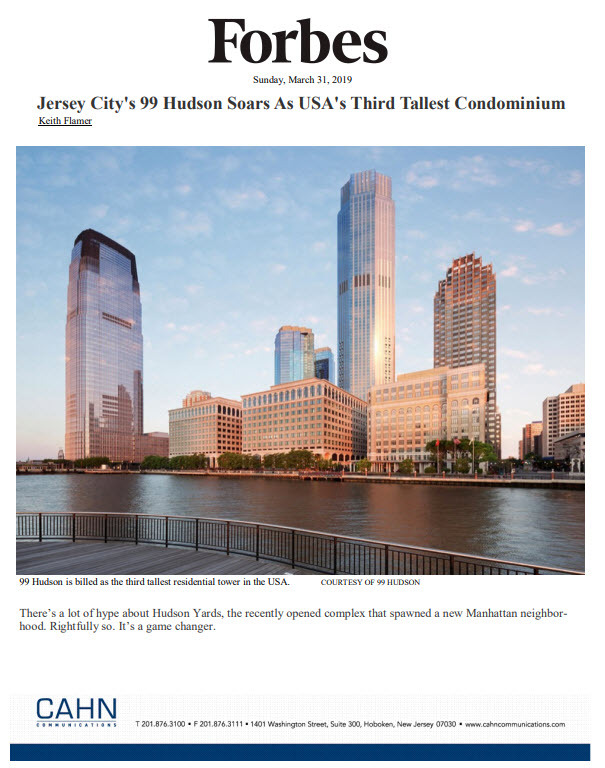 Since that time, I have been involved with many developments, both as an attorney and as a developer, that have served as the basis for the now-thriving revival of Jersey City. Our team is now working with coastal cities in Asia to create vibrant communities out of formerly unused or abandoned land. What drew me into real estate development was the possibility of renewal and redevelopment of the city that I was born in. The city had vacant and abandoned railyards, warehouses, and factories. The basic infrastructure was in place, enabling urban development without displacing existing companies or residents. What I saw was incredible potential to revive a city and a community that had once been vibrant. I am proud to say that our work in Jersey City has been a model for development of cities with under-developed, abandoned waterfront/railyard areas throughout the region. Jersey City is an example of how the entire community can work together for a greater good. It’s an example of how business combined with an enlightened government can rebuild the city and raise the economic wellbeing of all of our citizens. I see development in Jersey City continuing to rise. We are now a mature market, and I foresee explosive development for the next two decades. What continues to inspire me is the rapid growth of all the communities on the west side of the Hudson River. The NY/NJ metropolitan area has always been a magnet for investors and immigration from all over the world. The challenge today is to maintain and channel that growth in a sustainable way that ensures a healthy and productive population. During my initial start in real estate, I was given a piece of advice that I took to heart that I believe applies to anyone involved in real estate development. “Do not work for money, make money work for you. Never overextend your resources or over-leverage your property so you’re not forced to sell in a downturn, and never sell unless it’s an incredible offer.” These words guided me in all of my developments. Additionally, the formula to my success has been to view everyone who touches my properties as an integral part of my business—from the parking lot patron to the hotel patron to the residential, retail, and commercial tenant. Customers of my tenants ultimately are still my customers, and I strive to keep them happy. Some of the most drastic changes in the real estate industry over the last 40 years have been: the shift from retail office development to luxury residential housing; the effect of e-commerce on the retail and service industries; green and sustainable construction; foreign and domestic investors; and the relentless demand for mass transportation and the decline in the number of automobiles owned by tenants. With continued development in cities and the anticipated rapid growth of the urban population, coordination of resources will be necessary to ensure the expansion of healthcare, education, and city services. Infrastructure upgrades will be required in order to facilitate a higher quality of life for all residents of the community. A city is a living, pulsating place occupied by people of varied backgrounds and cultures—buildings are reflections of the spirit of the city. Creating places that fill the spirit also nurture the soul—they foster friendship, community, gathering, and brotherhood, creating places where people want to spend time. In essence, building neighborhoods in turn inspires the larger community.